From the title of this article, i know you might have asked yourself this same question. if you haven't then ask yourself what's more important to employers in Ghana, Experience or Qualifications? I know you just did. LOL. To start with this article we will break down into what Experience and Qualification means and we will move down to their benefits and i will share my opinion. After all i am the one writing this article. You can express your opinion in the comment box below if you disagree with me. Ok so lets begin!!! What is Work Experience ? "Work experience is any experience that a person gains while working in a specific field or occupation, but the expression is widely used to mean a type of volunteer work that is commonly intended for young people — often students — to get a feel for professional working environments. " says Wikipedia. So in short a work experience can also be termed as an Internship. A pass of an examination or an official completion of a course, especially one conferring status as a recognized practitioner of a profession or activity. “Firstly, I would like to say that a degree is not just about getting a job/career. The benefits affect all parts of life; intellectual, social, sporting, personal, artistic, ethical, and so much more. Recruiters often write job advertisements that specify that a degree is needed for the job, thus the market decides on this point, and it values degrees. Additionally, there are more jobs today than there were 50 years ago that involve working with your brain and fewer jobs involving manual skills. A degree is a start in working life, after all. Then experience, to give it its due place, will increasingly provide opportunities for further development of the person. Let us compare like with like, say a 21-year-old graduate compared with a 21-year-old with industry experience, both of equal intelligence. 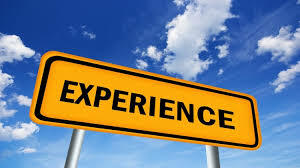 Let me give due credit to experience: it does not switch intelligence off (the way a few academics talk, one might think that they suppose the opposite). However, education changes you. Given the same elapsed time, a course of education will bring a greater depth of understanding than experience can provide. Thus experience may teach you that ‘doing it that way does not work’, but education gives you the theoretical knowledge and analytical skill to show why it does not work. Education develops your speed of learning and ability to learn at depth. Thus the experienced learn new ideas processes or technologies, but the educated learn them faster and more deeply. The graduates who are best at delivering high graduate value come from ‘sandwich’ courses with a year in industry. They have a great combination of theory and rigour, with a strong understanding of application of knowledge. The courses I work on educate students for two years, place them in industry for a year and bring them back to complete a final year of education. They are outstanding. They gain jobs very easily and prove themselves quickly. The majority have very enviable careers”. Matt Hackett, manager of digital & marketing recruitment team at Orchard, sees the value of experience in the workplace. “Nowadays everyone seems to have a or wants to have a degree, and there is still a tendency to jump straight into starting one as soon as possible. But is it the right way to go? Is a 21-year-old with 3 years solid experience who has completed some relevant industry qualifications during this time a more, or less, valuable resource that a newly qualified university graduate who has barely stepped foot in an office environment before? Putting yourself in that position, do you think you would be stronger placed having spent 3 years starting a career and having earned at least £30,000 during that time, or having learnt about a subject with limited practical experience and potentially built up large debts? If it’s the former, do employers need to re-evaluate who they are taking on in their entry level positions? A degree qualification used to be a major deciding factor in who got the job, but I think as more and more people have gained degrees, especially over recent years, employers have become less impressed on the whole, and focused more on experience. If you asked most employers if they would select a raw graduate with 3 years in education but no tangible experience, or a college leaver with 3 years relevant experience, I would expect the vast majority would favour the latter. Most job specs I receive stating reference to any required educational and qualifications are usually mentioned at being ‘ideal’ or ‘beneficial’ rather than essential. 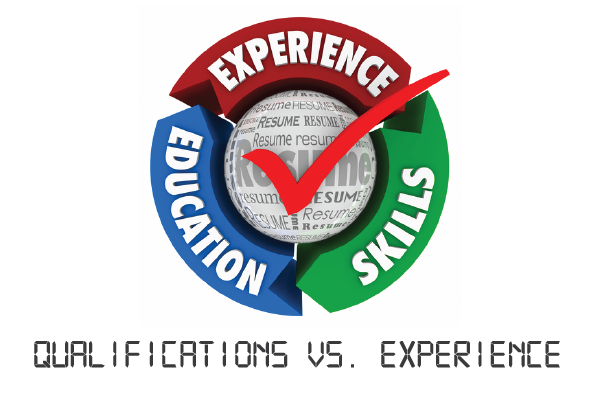 When reviewing CVs, both personally and alongside employers, experience is reviewed before education in most cases, apart from entry/junior level positions. A 3-year study-only degree doesn’t really work, so apprenticeships are starting to become much more commonplace within this sector, along with other workplace learnings. Obviously this differs in some vocations where a certain level of education is required to progress beyond a certain point, i.e. law, accountancy, engineering etc. The ideal is a good combination of both theoretical knowledge and practical understanding, and I believe this is better. However, from what I see on a day to day basis, the comfort blanket of seeing an individual with the exact match of experience to a vacancy swings an employer in most circumstances”. Related to Ghana, I think experience is more important. If you will agree with me, anytime a job advert is placed in Ghana, you see something like a minimum of some of years experience is needed. Meanwhile the job position calls out to HND, Degree or SHS certificate holders. Which makes only the years of experience stand out. I believe more employers in Ghana will go in for applicants with more field work experence than highly qualified graduates with less or no experience. I side with Matt Hacket on this. Join the debate and let us know your thoughts in the comments box below. Feel free to do so.